Amy has lived and loved the White Mountains of AZ since 1980. 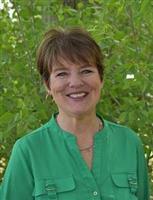 Her knowledge of the Show Low ~ Pinetop and Lakeside areas benefit YOU! Amy's negotiating skills benefit both SELLERS & BUYERS in today's competitive market. Amy has a team of experts to assist YOU. Amy is a top producing agent and serves on many local boards. Giving back is just one way to serve her clients and the community.